“Ladies and gentlemen, filming right now in front of the Chinese Theater is our Surprise Family for the day, the Sinclair family from La Brea, California!” More of a street party than a parade, the stars of the hit TV show Dinosaurs sing and dance in front of the iconic theater. As Aladdin’s Royal Caravan approaches Hollywood Boulevard, you’ll be magically transported to Agrabah! This critically acclaimed parade features a 32-foot tall Genie, as well as the grand entrance of Prince Ali, spitting camels, and the highlight is Aladdin and Jasmine on top of Abu in the form of a giant elephant! Led by green army men dancing in precision to “You’ve Got a Friend in Me” (culminating in an Iwo-Jima stance), this lively parade features all of your favorite Toy Story characters, including Buzz Lightyear and Mr. Potato Head. The parade ends with Woody fronting a float brimming with toys, including an Etch-A-Sketch vividly proclaiming “The End”! Enjoy this special opportunity to view the Toy Story Parade floats up close and personal on New York Street! This unique parade begins with Mushu on the back of a bicycle cart, and includes an extended-length dragon with a body symbolizing the Great Wall of China! Brandishing knives and showcasing their sword moves, the Huns precede a giant inflatable Shan Yu, who is tied to a bed of skulls and fireworks! Mulan and Captain Li Shang are pulled by a horse-drawn carriage beautifully adorned by Chinese symbols, and the parade concludes with a larger-than-life Emperor waving to the crowd! 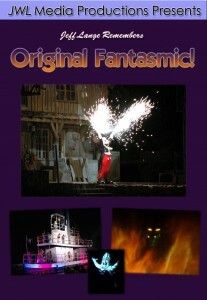 This short-lived comedy stunt show is presented here as a rare bonus! 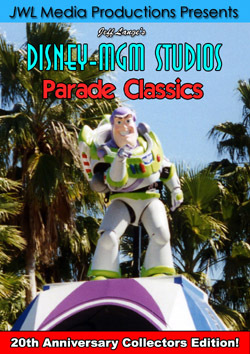 Relive these special Disney parade memories year after year or experience the magic for the first time by purchasing a copy of “Jeff Lange’s Disney-MGM Studios Parade Classics”. 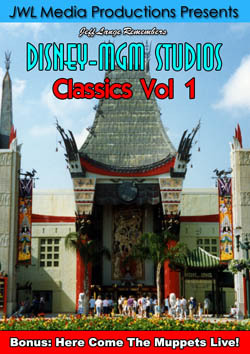 I am very excited about my latest DVD release, Jeff Lange’s Disney-MGM Studios Parade Classics – 20th Anniversary Collectors Edition (for more information or to order click HERE)! 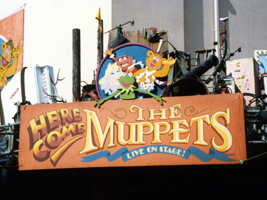 Also, in keeping with the theme of today’s update I am featuring Jeff Lange Remembers: Tomorrowland Classics (available HERE). Jeff Lange brings the force home to you in this must-have 3-Disc Collectors Edition featuring Star Wars Weekends 2006 at Walt Disney World. 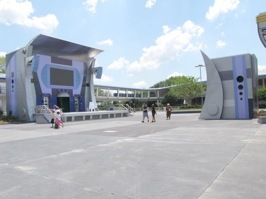 Begins as Stormtroopers take over the gates of the Disney-MGM Studios. You make your way down Hollywood Boulevard to see Legends of the Force: A Star Wars Celebrity Motorcade. Next is a visit to Wicket’s Warehouse featuring a life size replica of the X-wing fighter. 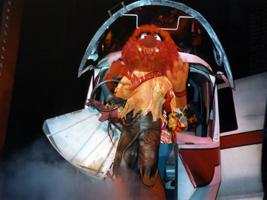 After looking over all the special Star Wars Weekends merchandise, you enter the ABC TV Theater for the Stars of the Saga celebrity interviews featuring Warwick Davis (Wicket the Ewok), Peter Mayhew (Chewbacca) & Rick McMallum (Producer of prequel films). You finish weekend 1 in the Imperial Sector encountering characters from the entire Star Wars Saga. You make your way past the Stormtroopers to view this weekends Legends of the Force Motorcade and Celebrity Welcome at the Star Tours stage. Next you take a front row seat for the Stars of the Saga celebrity interviews featuring Warwick Davis, Jake Lloyd (Anakin Skywalker) and Matthew Wood (Voice of General Grievous). Weekend 2 comes to a close as you join your favorite Star Wars characters in the fun and hilarious Hyperspace Hoopla. The Stormtroopers guarding the gates are once again no match for you. After slipping past them, you take your place for an extended Star Wars Celebrity Motorcade featuring The 501st Florida Garrison. 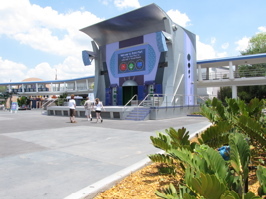 Next you pay a visit to the Jedi Training Academy and observe the Jedi hopefuls facing off against Darth Vader. Weekend 3 comes to a close with extended Stars of the Saga celebrity interviews featuring Warwick Davis, Jay LaGa’aia (Captain Typho) & Orli Shoshan (Shaak Ti) plus the Stormtroopers pre show antics. 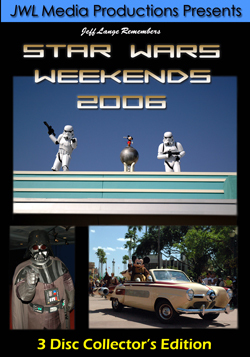 Keep the force strong in you by picking up a copy of Jeff Lange Remembers: Star Wars Weekends 2006 today.